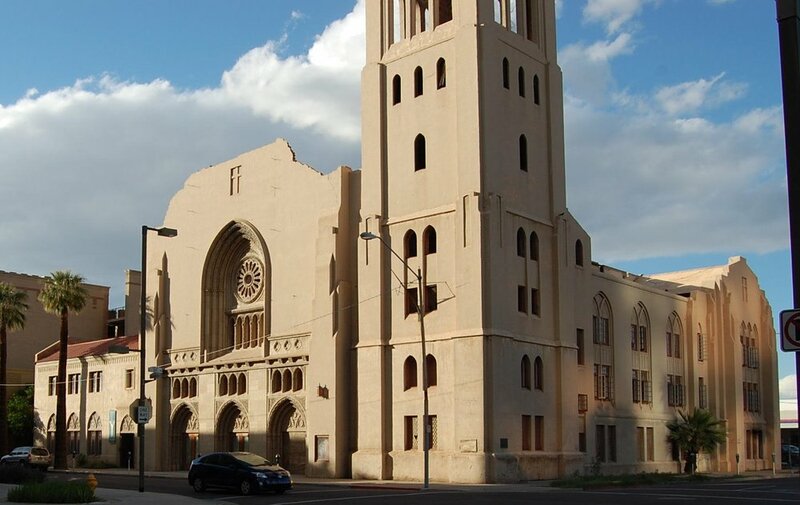 Local First Arizona For(u)m and Jones Studio partner to produce a one-night-only public art event to showcase the historic Monroe Street Abbey its final “raw” state, before beginning build out into a one-of-a-kind mixed-use space in downtown Phoenix. The event combines multimedia performance and projection, surrounding and immersing the Abbey with unique art in concert with the Fall season-kickoff First Friday, and the annual AIA Arizona state conference. Promotional consideration by Downtown Phoenix, Inc.
**Metered parking on Monroe Street, and Third and Fourth avenues. Paid lot parking available to the West and South.